Notre Dame Sister Kathleen Ryan is the Director of the Diocese of Cleveland Social Action Office. She is responsible for creating and implementing programs and pursuing legislative advocacy for peace, social and economic justice. She is beginning her 25th year at Catholic Charities and the diocese. Sister Kathleen holds a B.S. in Education from St. John College, Cleveland, OH and a M.A. in Language Arts from Virginia Polytechnic Institute and State University. She was invited to participate in the Teaching for Spiritual Growth Institutes at Harvard and Boston College during the summers of 1995 and 1996 as one of twenty-five educational leaders from the throughout the United States who worked with at-risk teens in creative programs dealing with nonviolence and developing conflict resolution skills. The seminars were conducted by eminent children’s scholar, Dr. Robert Coles. She presented the Cleveland Gandhi-King-Day Peace Program which she co-created. The program uses the arts to teach conflict resolution skills. Sister is a presenter at workshops, seminars, forums, panels at the local, state and national level on Catholic Social Teaching and how to work for peace with justice. She is a cofounder of the group, Catholic Schools for Peace and Justice, (www.cspj.net) a network of the 21Catholic High Schools, three Catholic colleges and the Newman Centers in the diocese of Cleveland to work collaboratively with the young people in the areas of peace and justice. She accepted the position of Coordinator of the Justice, Peace and Integrity of Creation Committee for the Chardon Province in 2011. 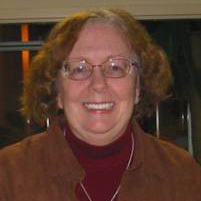 Among her accomplishments, Sister Kathleen won the Northeast Ohio Peacemaker of the Year Award, Adult Division in 2007, the Northern Ohio Live Outstanding Achievement Award, Urban Issues in 2001 and the .Cleveland Communicators Award for First Place, Column writer, Women in Communications Award in 1990. She received the St. Elizabeth of Hungry Vision and Values Award in 2007 from Cleveland Catholic Charities. The award is given to an employee who exemplifies the spirit and love St. Elizabeth had for those who are poor and in needed. Aren’t we lucky we have a map, a guide, a source of strength and vision to find our way through the realities of our daily life? What, you may ask, are you talking about? I’m talking about the Gospel. Jesus came to show us “…the way, the truth, the life.” He came that “we may have life and have it to the full.” Who doesn’t want fullness of life? The question is how– how do we find our way? I hope you join the journey. Read the blog. Contribute to the blog; share your efforts to live a certain way—walking with the Lord, doing justice, loving kindness and living peaceably among all people. Subscribe to Living Justly today to receive notification of new blog posts.